Jacob W. Roberts is an Economics and East Asian Languages and Cultures double major at the University of Southern California, with a minor in Russian. 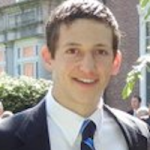 This past fall he worked at the White House as a policy intern with the NSC. Last summer he conducted research on the social and economic impacts of China’s one-child policy and interned at a start up, and in 2013 he worked at a venture capital firm in Beijing, China over the summer. In 2011, he lived in Buenos Aires, Argentina, where he enrolled in courses in Spanish and Portuguese at the Universidad de Belgrano. His core interests include macroeconomic theory, game theory and national security policy.